Tracey is having a Styling Session with Stella & Dot! Summer drinks + Summer Bling = One Fantastic Girls Night IN!!! Fun & Casual....drop by for a drink & and check out this AMAZING celebrity-coveted collection by Stella & Dot! Excuse to gather together for a much needed summer evening of wine, girl gab & play dress up! The '13 Summer Collection has been a runaway hit and finding it's way into many TOP fashion magazines such as Vogue & Elle!! Official jewelry supplier to ET Canada! And we now have totes, bags & scarves to accessorize! Can't make it but still want to place an order for amazing Bling? Tracey's shop is NOW open. Shop online with confidence with our "Delight Guarantee"! Luxury style at an affordable price with an amazing "Delight Guarantee" of 1 year! Haven't heard of us?? 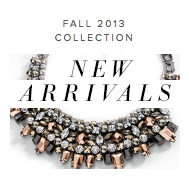 Check out our NEW 2013 Fall Collection! So excited to hang out with you in August! I promise fun & casual!! 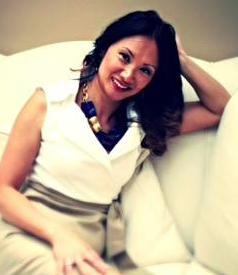 Excited to tell you about some color trends coming up this season! Looking forward to styling you!